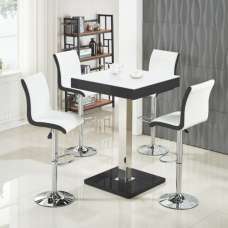 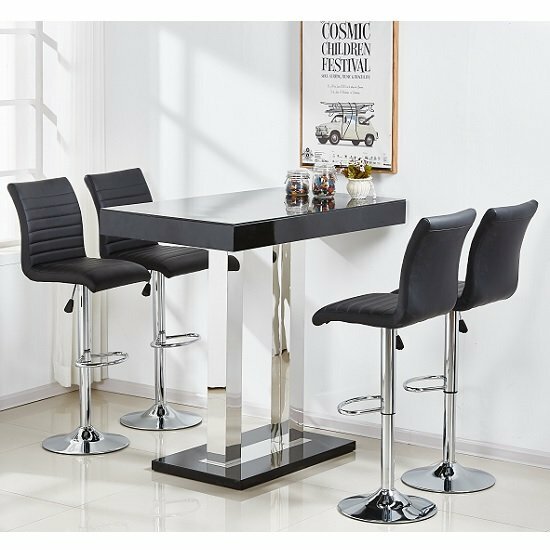 Caprice Glass Bar Table Rectangular In Black High Gloss With Stainless Steel Support And 4 Ripple Black Bar Stools In Faux Leather, this set exhibits classy vibes and is ideal for modern homes. 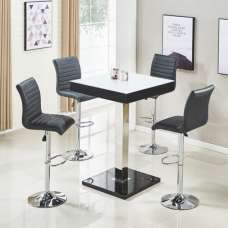 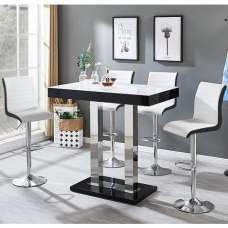 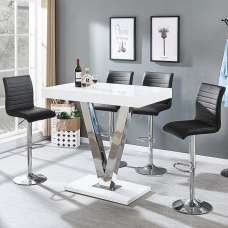 Bar Table is crafted from Black High Gloss and Glass top with stainless steel support and Stools are made of Black faux leather with chrome base. 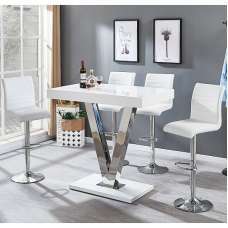 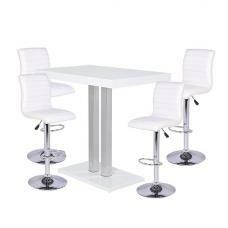 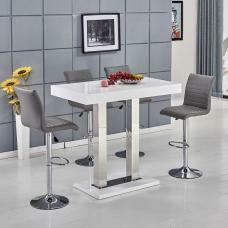 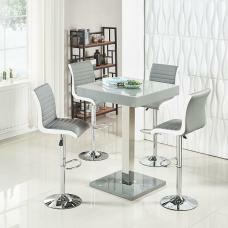 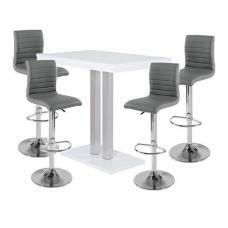 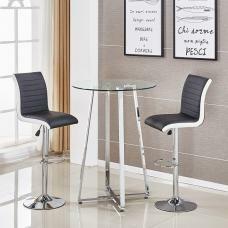 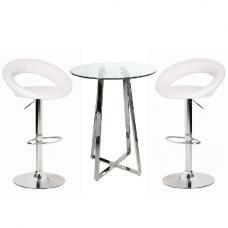 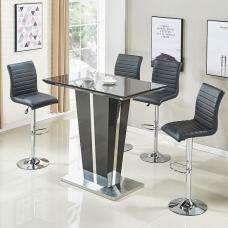 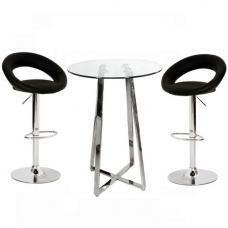 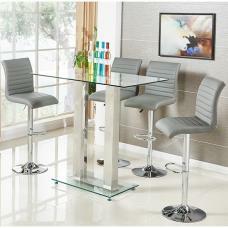 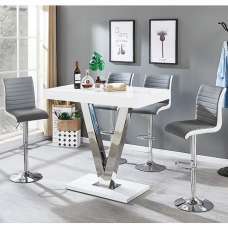 This Contemporary furniture Ideal for your Dining, Kitchen, Restaurant and Bar area.